To make it easy we will use Grout for this example. For many of you who don’t know what grout is, it is that substance, the necessary components that hold the tiling on the ground. Because of its nature and the places, it fits into, the grout also has a reputation for gathering gross grimes, and other weird things that would make the surface look discolored and even dirtier than usual. It is not so easy to clean a grout for the very fact that it is within the thin lines between the tiles and the ceramic, the stone structure used to hold the construction in place. Thus, the only way to clean your grout is to be steady and continuous in cleaning the place. You should know that the existence of the grout grime is not something you want around, for both aesthetic and hygienic reasons. So today, I’ll be sharing some useful tips on how to get rid of the stains and grimes on the grout. If you feel doing it by yourself is tiring, then you can hire the services of house cleaning. Most people think just going on to do the job without actually first accessing the problem and preparing the area you want to work in, will make the work any more comfortable. No! You would need to do some preliminary cleaning before you even start doing any serious cleaning on the floor. So before you dig out the dirt, do the necessary surface cleaning. Use a stiff-bristled brush and hot water to help loosen the debris. If you own a steamer, it is vital that you use it, as it comes in handy to help fight the stain. The boiling temperature on the steamer will also help to loosen the debris on the grout, making it easy to dig out. What is the DIY route? It is doing the cleaning yourself, with your supplies and mixtures. Now, you would see a lot of products that will promise you the best results after usage, but you don’t have to use products from the shelf, as you can make the cleaning product for yourself, from the comfort of your home. The DIY solution is simple to make; all you need is, your baking soda and a test and approved hydrogen peroxide, and you have yourself a perfect remedy to clean your grout. Mix this solution with laundry detergent, and you’re set to begin cleaning. One of the reasons why kids don’t like cleaning up and why most adults don’t like it either is because, it is cumbersome and exerts a lot of energy, which frankly is uncomfortable. Cleaning the grout spot is no exception, which is why need to adopt a process that makes the cleaning tolerable (and with time comfortable). I’m not disputing the fact that to some persons, cleaning can be relaxing and therapeutic, but the majority do not like the concept and would rather they have someone else do it for them. Getting comfortable while you clean your grout should be a priority. For instance, if you want to clean the grout in your bathroom or kitchen, the comfortable position would be to put your knees on the ground. If you’re cleaning the wall, you may need to stretch to get to some stains. Now, this may be comfortable positions, but with time they become uncomfortable. So what you do is find a pad for your knees, and also take breaks to relieve yourself from the stress. You should know by now that the very nature of a grout makes it hard to reach, which is why you would need to employ tools that would enable you to reach the dirt easily. Therefore, your toothbrush is your arsenal for the job. Know this, that brushes get messy, really fast, and as such, you would need to have other toothbrushes with you. This way, you get the job done, and you wouldn’t be adding more dirt on the grout in the name of cleaning it. If the bristle of the brush begins to look gnarly, then it is an indication that you would need to change the brush, sooner than later, but you can still use them for a while longer before you change it. Once you notice that your toothbrush is adding more dirt to the grout than actually cleaning them, then it is an indication that you have to change the brush. You can’t clean all the grout in your kitchen in one go, talk less of the entire house, so it is wise if your device a means that helps you compartmentalize the work. So, rather than stress yourself doing the Cinderella-bulky work, pick a section in your kitchen and do it, then focus on another section later. If you begin to feel tired, try to finish the section you started with, then go to the next section some other time. If you want the job to be impeccable, you would have to let your solution set. This way, you would be loosening the debris and making it easier to clean, and when it is easier to clean, you end up doing a whole lot in a single day. Grout sealers are the glue that are prone to getting dirty, and also prone to wear and tear when you’re cleaning it. So, the best option for you is to use grout sealants; they help you to cover the pores on the grouts, so they don’t wear out fast. Having a clean grout not only gives you peace of mind, but it also makes your home hygienic and beautiful. It also has a way of making you feel at home. 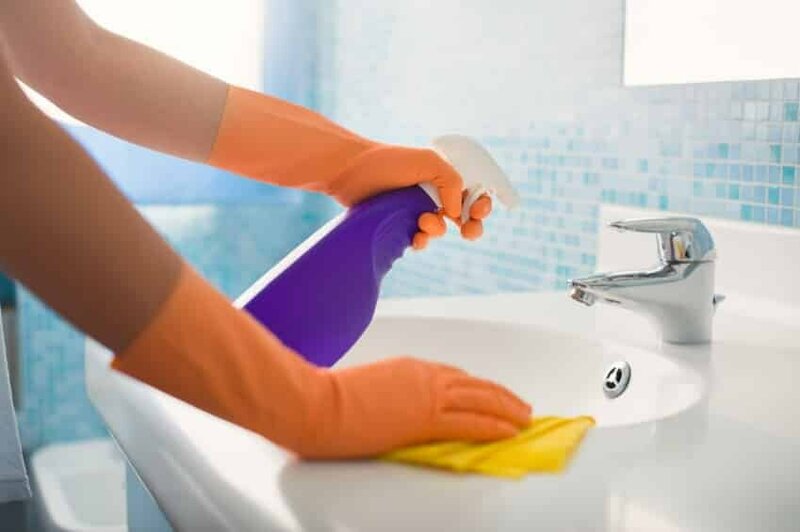 Clean your grout regularly, and feel safe in your own home, and if you can’t do it yourself, then you can hire the house cleaning services.